This was a brilliant talk. Really inspiring! I liked the way you put together several of the latest browser APIs to push the limits of what we can accomplish. Your slides are lovely, with useful animations that help to understand the code snippets. Also nicely designed. 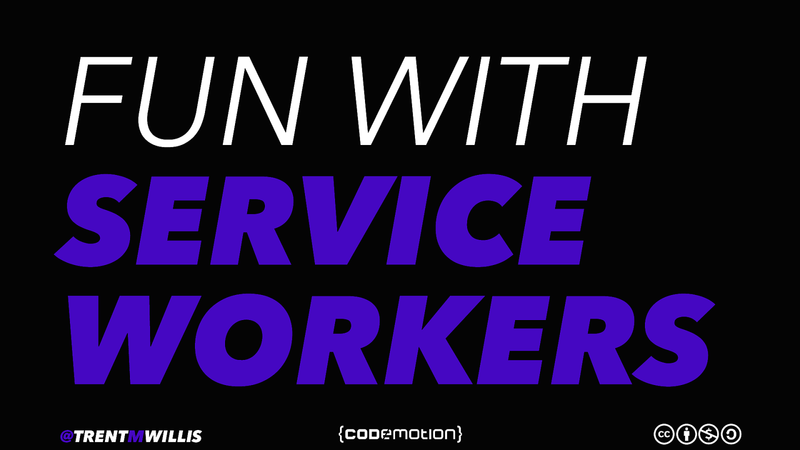 I keep the idea of how powerful service workers are gonna be and the encourage to investigate what edge / new cases can We get in!